Recently a Mountain Bike Trail has been opened right by the National Cycling Centre in Manchester (Clayton Vale to be specific – not far from the Etihad) which I have been dying to have a go at with Mr Kitty. Contrary to popular disbelief, I love getting a bit sporty! When I was at school I was a big swimmer, basketball player and even tried my hand at wrestling. I got a little older (and a little rounder) and sort of lost interest until last year when I hopped back on my (really old and decrepit) bicycle and hit the hills with the Mr.
Mr Kitty is pretty proficient now – he can probably tackle the black run without breaking too much of a sweat. My bike is so old, all the stickers have peeled off. I don’t even know what it is, but it’s not brilliant. 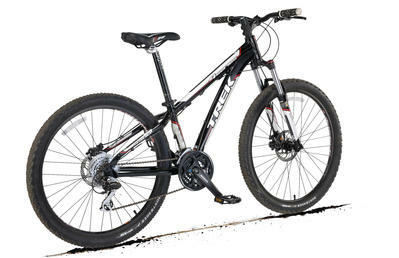 It is a mountain bike – but a really cheap one – with road tyres on it. It is not a hybrid. Like I said yesterday, it’s that poor it might as well have Power Rangers stickers on it. Plus, the breaks howl when you use them, so I’m like a flipping Nerf Rocket going down the hills. Despite my handicap of suitable equipment, we decided to give Clayton Vale a go. Let me tell you, this place is fantastic! They have a route for all levels of proficiency, including a “light blue” route which is disabled-friendly. The surroundings are beautiful – although for 80% of the time you’re going too fast to see them. If you’re moderately experienced and just want to feel the wind in your hair, they have a run for you. Dangermouse? They have a run for that, too. You can find out all about their routes and services here. You can also get a map of the routes from the Velodrome. We decided, given my poor bicycle, to tackle the Newton Heath Sidewinder (or the Dark Blue Trail) which begins on Bank Bridge St. Unfortunately, some naughty boys and girls have gone around the course and knocked off most of the trail pointers, so we actually ended up on the Urban Red Rock-It (or the Red trail). c) a bike likely to survive a drop greater than 2cm. I had none of the above on the Urban Red Rock-It trail, but managed to stay on my bike for 90% of the hair-raising descent and muscle-busting ascents – but boy was I sweating at the end of it! Did I do OK? I think so – Strava says we came 7th fastest on the trail. Bare in mind it only opened last week, but that’s respectable! It kind of makes me wonder how well I would have done with proper equipment! Now I’ve got my eye out for a great mountain bike – which I should have invested in to begin with .